Vintage Infantry Utility Shorts Woodland Camo | BUDK.com - Knives & Swords At The Lowest Prices! These authentic vintage military woodland camo cargo shorts from Rothco have been meticulously washed for that vintage look and feel. Constructed of rugged, heavy weight 100 percent cotton, these shorts offer a relaxed fit, distressed details, six pockets, inside drawstrings and a French zipper fly. 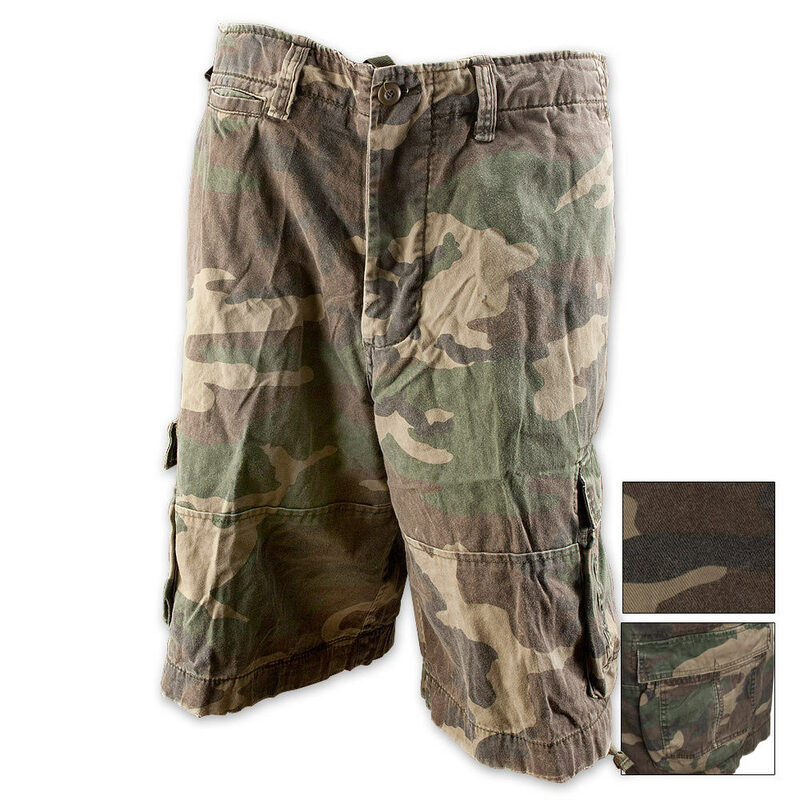 You won&apos;t find a more comfortable or rugged pair of shorts anywhere, period.